The world famous mural featuring two little children on a bicycle. 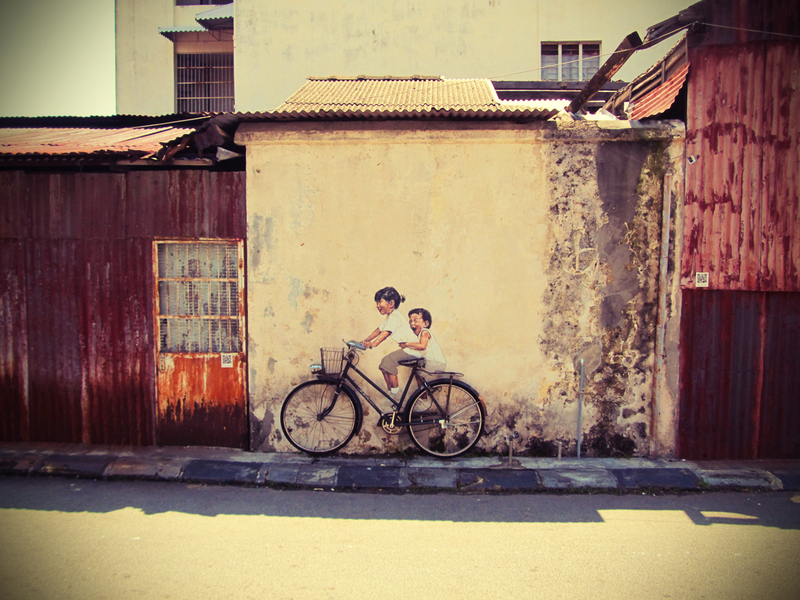 The most famous art mural in George Town painted by Ernest Zacharevic (Click here for his other artworks in Penang). 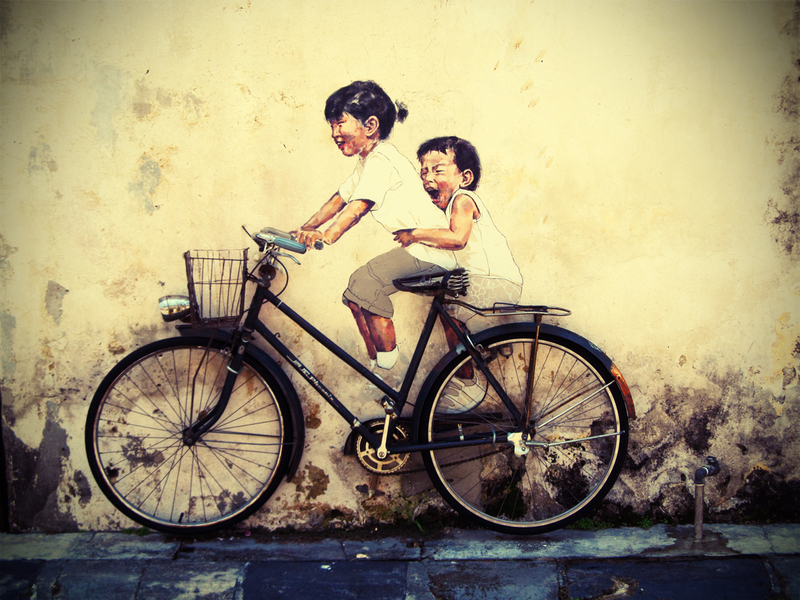 Ernest Zacharevic is a Lithuanian artist who has been painting a number of murals on the streets of George Town, Penang which have been attracting visitors from all over the world. So awesome! My friend is from Malaysia and she was impressed too. Hi, this is just one of the many art presentation around George Town. Also part of the state government’s effort to promote arts in the island. Thanks for posting such beautiful works of art.